Wigtown - Scotland's National Book Town - is home to more than a dozen bookshops and book-related businesses. Open all year round, they offer a safe haven for readers and writers, with more than half a million titles to browse. The Association of Wigtown Booksellers has its own website, where you can find full information on the bookshops of Wigtown. 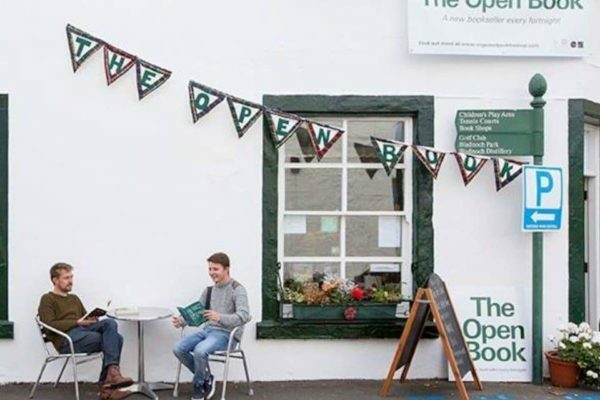 To help make the Wigtown Book Festival more sustainable, Wigtown Festival Company opened a new bookshop in January 2017 and runs its own Festival Bookshop during the annual 10-day event each autumn. 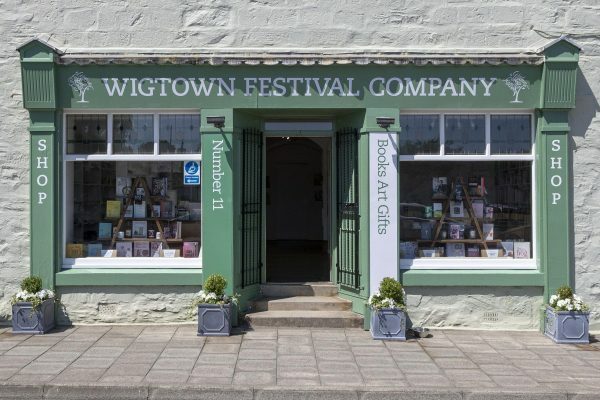 Open year-round, Number 11 is Wigtown Festival Company's shop - which also houses the Festival Box Office. 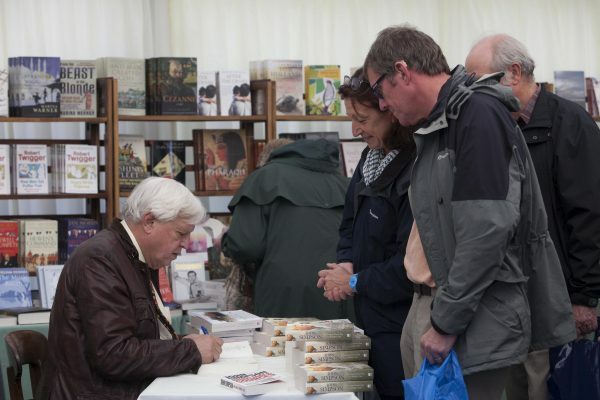 We stock a wide range of new books, including some signed copies from Festival authors (note: during the Festival signings are conducted in the larger, tented Festival Bookshop). Also available are a range of quality literary themed gifts and local arts and crafts to suit every budget. We stock a small range of local and Scottish products including Bladnoch Whisky, Hills and Harbour Gin, and Sulwath Beer (Number 11 is licensed for the sale of alcohol daily from 10am-8pm). During Wigtown Book Festival, our Festival Bookshop hosts book signings and contains books by all the writers appearing at the Festival - the perfect place to browse for inspiration. Find the Festival Bookshop beside the Festival Marquee, on South Main Street. The Open Book is a holiday experience like no other, offering residents the opportunity to run a bookshop for a short period of time. 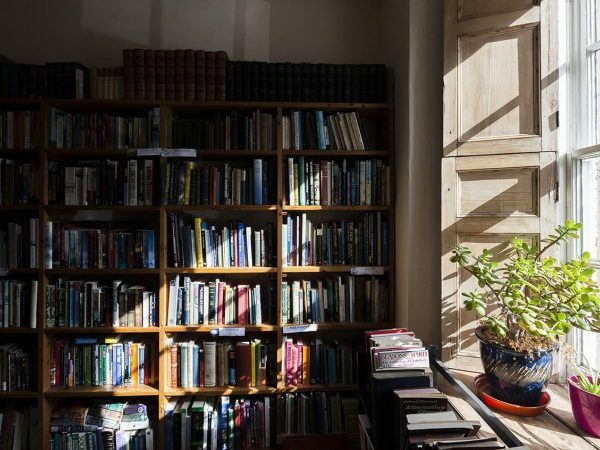 The bookshop, with a one-bedroom self-catering flat above, is located in the heart of Wigtown, Scotland’s National Book Town. It is designed to encourage, reaffirm or rekindle a love of books and welcome people from around the globe to one of the most beautiful places in Scotland. With sea, forests, an amazing community and a dozen bookshops on the doorstep, it’s a book lover's haven. It is run through AirBnB and is currently fully booked until July 2021. Follow the activities of the resident booksellers at The Open Book blog, and on The Open Book Facebook page. If you’re interested in The Open Book experience, you can join our waiting list. Find The Open Book at 2 High Street. Opening hours vary depending on the arrival and departure of residents. The shop is generally open 6 days a week. If the resident is out, they’ll leave a note on the door about when they’ll be back. Look out for activities in the shop during Wigtown Book Festival, including free bedtime readings at 9.30pm.